Why raising happy kids isn't enough. 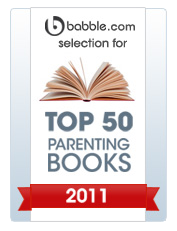 Selected as one of babble.com's Top 50 Best Parenting Books of 2011: This book has a good description of classic theory on little kids’ psychological development and the stages they go through as they wrestle with independence from mom and dad. It also shares ideas for working through tough moments without resorting to punishment. And its message is an important one: We can’t expect more from our kids than they are developmentally capable of. Find more details and reviews. By Cheryl Erwin, Jane Nelsen, and Roslyn Ann Duffy. This revised and updated third edition includes information from the latest research on neurobiology, diet and exercise, gender differences and behavior, the importance of early relationships and parenting, and new approaches to parenting in the age of mass media. In addition, this book offers new information on reducing anxiety and helping children feel safe in troubled times. In this completely revised and updated edition you'll learn how to succeed as a single parent in the most important job of your life: raising a child who is responsible, respectful, and resourceful. Inside this reassuring book, you'll discover how to identify potential problems and develop skills to prevent them, budget time each week for family activities, create a respectful co-parenting relationship with your former spouse, use non-punitive methods to help your children make wise decisions about their behavior, and much, much more. 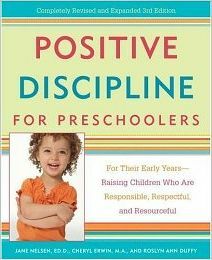 Positive Discipline for Childcare Providers offers a thorough, practical program that is easily adaptable to any childcare or preschool situation and setting. Inside are workable solutions to many of today's toughest childcare issues and everything you need to develop an enriching experience for children, parents, and workers alike. You'll learn how to create a setting where children can laugh, learn, and grow, support healthy physical, emotional, and cognitive development in all children, including those with special needs, encourage parents to establish a partnership with you and provide the same kind, firm limits and respectful environment at home, uncover support and learning opportunities for yourself and fellow childcare providers, and much more! Potty training. Violent video games. Dating! Raising a son is a wonderful adventure--but it can also be a challenge. You worry about your son's self-image, his values, his relationship with them--and with others. You want your son to succeed and grow into a capable young man, but how can you make sure that happens? This comprehensive guide shows you how to help your son strengthen his self-image and resist peer pressure, identify and exhibit acceptable behaviors, build friendships and relationships, succeed in school and beyond. 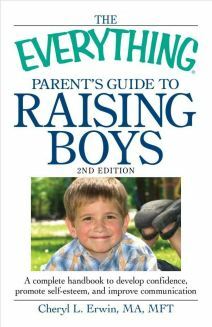 With patience, perseverance, and this guide, you can see your son through challenging times and take pride in his successful transition from boy to man. By Cheryl Erwin, H. Stephen Glenn, Jane Nelsen. Living in a stepfamily is challenging. But a household where yours and mine must become ours can become a harmonious family unit. It is possible to build a stepfamily that works for all of its members—an environment where both adults and children can feel safe, loved, and free to grow and learn. 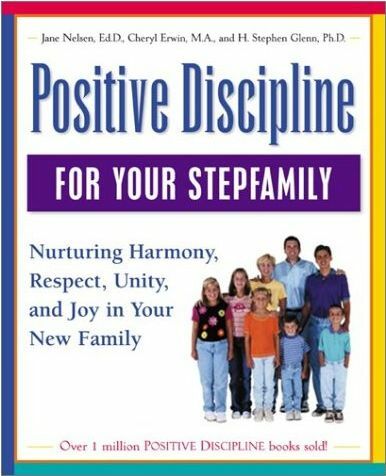 Written to address the particular challenges that stepfamilies typically confront, this latest addition to the bestselling Positive Discipline series helps you understand the process of stepfamily living and empowers you to make the right decisions. Inside, you will find real solutions that can make your new family a cohesive and happy unit. You'll discover how to resolve responsibility and role issues, blend rules and traditions, build effective communication between all family members, handle discipline and finances, develop respect and affection among rival children, and much more! You can purchase these titles in paperback from amazon.com. You can purchase these titles in Kindle editions from amazon.com. 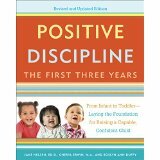 You can download this title from positivediscipline.com. "During the first year of life, your child will depend on you for everything. But you may be surprised at how quickly he finds his voice and unique personality. Instead of telling children what to do, find ways to involve them in creating routines and to draw out what they think and perceive. "What" and "how" questions are one way to do this. Ask, "What do you think will happen if you push your tricycle over the curb?" or "How should we get ready for child care?"" Education comes from the Latin root educare, which means "to rear, educate," or "to draw out." This may explain why children "tune out" when you try to "stuff in" by "telling" through constant demands and lectures. For children who are not yet able to talk, say, "Next we______________," while kindly and firmly showing them instead of telling them. Also remember to give children choices -- although you must limit the choices to only those acceptable to you. Children given choices experience a healthy sense of personal power and autonomy. There is a difference between wants and needs, and your child's needs are simpler than you might think. All genuine needs should be met. But when you give in to all your child's wants, you can create huge problems for your child and for yourself. For example, your preschooler needs food, shelter, and care. He needs warmth and security. He does not need a pint-sized computer, a television in his bedroom, an iPod, or a miniature monster truck to drive. He may love staring at the television screen, but experts tell us that any kind of screen time at this age may hamper optimal brain development... He may want to sleep in your bed, but he will feel a sense of self-reliance and capability by learning to fall asleep in his own bed. He may love French fries and sugary soda, but if you provide them you could be setting the stage for childhood (and adult) obesity. You get the idea. Do you have a question for Cheryl?